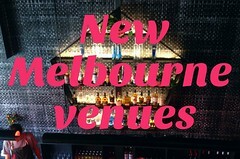 I'm no fan of new year's resolutions, but this year I did promise myself I'd finally register www.melbournegastronome.com and move the blog's current contents. It's all a bit scary and "in transition" (sure hope I don't lose any old posts - hmmm, should perhaps have enlisted the help of some friendly tap tap computer person who actually knows their way around the internet, rather than attempting this on my own? 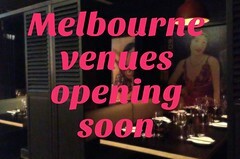 ), but if it all works out the new address for Melbourne Gastronome SHOULD be www.melbournegastronome.com instead of the old http://melbournegastronome.blogspot.com address.